Located in the heart of Geraldton, this aparthotel is steps from Western Australian Museum and Old Geraldton Gaol Craft Centre and Museum. 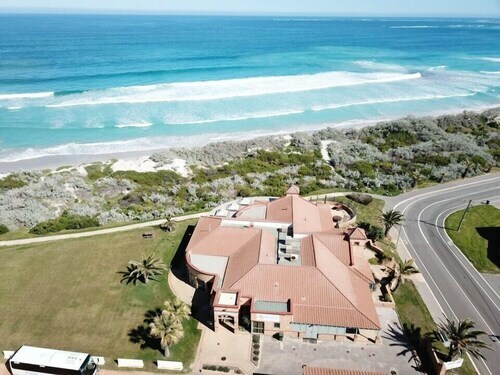 Geraldton Beach and Lattitude Gallery are also within 15 minutes. 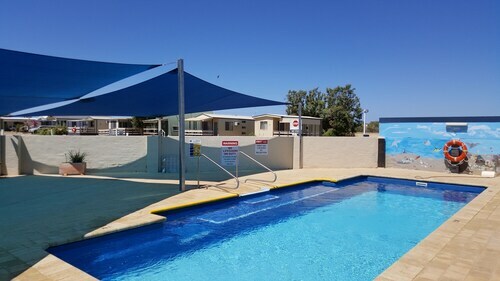 Located in Sunset Beach, this beachfront campground is on the riverwalk and within 6 mi (10 km) of Old Geraldton Gaol Craft Centre and Museum, Geraldton Beach, and Hell's Gate Beach. Pages Beach and Geraldton Fisherman’s Wharf are also within 6 mi (10 km). 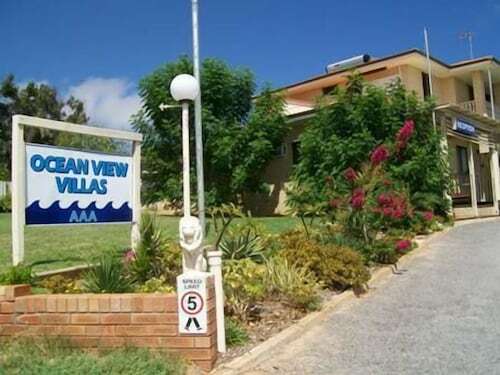 Situated near the beach, this luxury bed & breakfast is within a 15-minute walk of Geraldton Visitor Centre, Geraldton Beach, and Lattitude Gallery. Queens Park Theatre and Cathedral of St Francis Xavier Church are also within 15 minutes. A major city on the beautiful Western Australian stretch of shoreline known as the Coral Coast, Geraldton is located about five hours from the capital city of Perth. Geraldton is a port city and much of its livelihood can be linked back to the water, stay in our Geraldton accommodation and enjoy the laidback lifestyle of this seaside city. 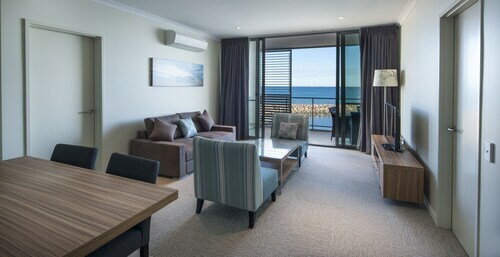 While you stay in Geraldton hotel you will want to check out some of its spectacular coastline. Water sports are a favourite pastime of Geraldton locals, and its no surprise. From the rolling Indian swell of Flat Rocks and Greenough to flat water of Coronation Beach internationally renowned for windsurfing, there is something for everyone to do on the water. There is no escaping the strong maritime atmosphere of Geraldton, and why would you want to. Stay in our Geraldton hotels and visit Fishermans Wharf; alive with the activity of the city’s thriving fishing and seafood industry. Drop in a line for yourself, or just wander the wharf and watch the sun set on the Indian Ocean. 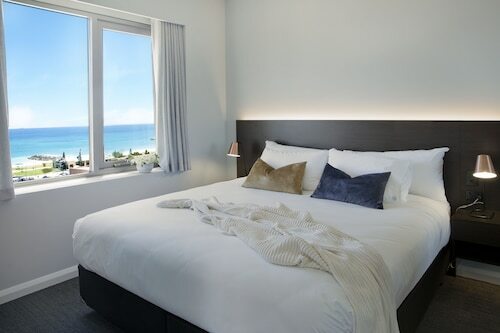 How Much is a Hotel Room in Geraldton? 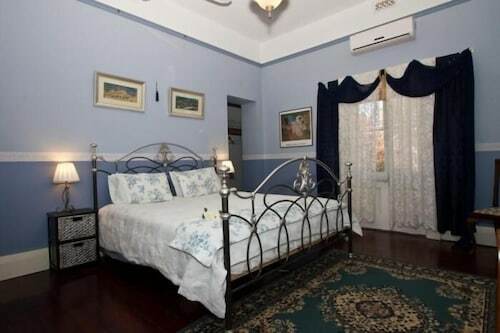 Hotels in Geraldton start at AU$88 per night. Prices and availability subject to change. Additional terms may apply. The room was lovely and clean however the decor is very outdated. Value for money and the staff were very accommodating due to us arriving late. I would defiantly stay again! Very nice continental breakfast. Don’t be mistaken cooked breakfast is not part of the deal. We could have paid less as the 1 deal said continental breakfast the dearer on said with breakfast so we paid the extra but it was still only continental. Loved the space I. The room and listening to the ocean at night.